Crikey! Surprise someone special with a trip to Australia this Christmas. 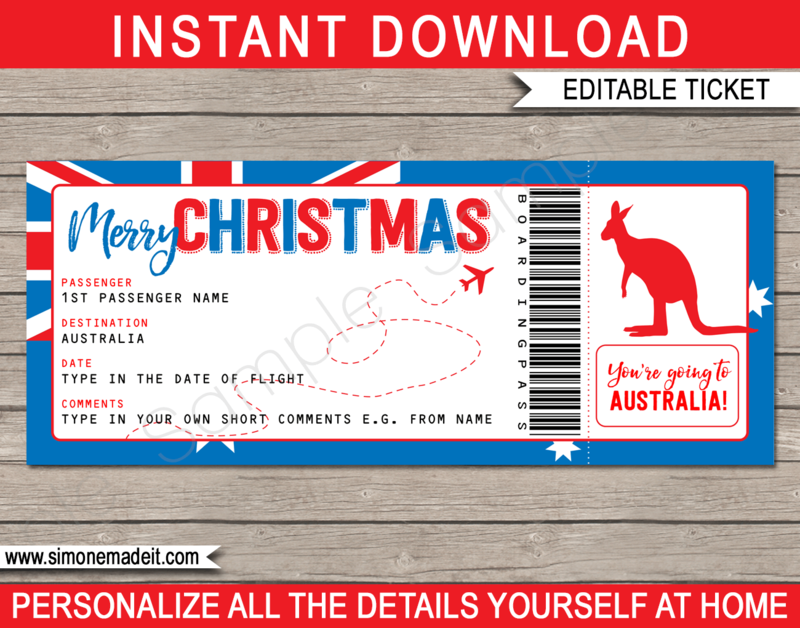 This printable Australia Boarding Pass Christmas Gift Ticket is perfect for your Australia trip reveal. Designed to look like a faux plane ticket, you easily personalize this boarding pass template at home. Download your printable Australia Boarding Pass Christmas Gift immediately after your payment has been processed. Trim out your Australia Boarding Pass Christmas Gift on the provided cut lines.